Gamers wear their achievements like badges of honor - did you complete Halo: Reach on legendary, or Gears of War on Insane? I mock your achievements! If you want a real challenge try completing Damnation in co-op or playing the entirety of Too Human with a friend - I have done these Herculean tasks and they took commitment. 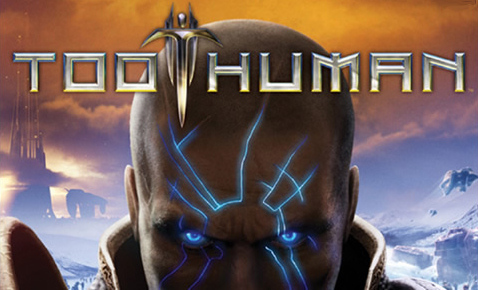 Too Human was a flawed futuristic dungeon crawler that Co-Optimus gave a respectable 3.5 out of 5, but when I played the game, I spent the majority of the time watching the dying animation over and over again. Despite modest reviews and lackluster game sales, Silicon Knights have announced that they still plan to finish the 360 exclusive trilogy by bringing forth two more games in the series like a duo of angry mech-Gods. The public litigation mentioned is Silicon's ongoing tumble with Epic - whose engine was actually used in Too Human? This legal action means that news about the game is more patchy than Co-Optimus' knowledge of Norse Gods. Let us hope that things work out because if Silicon Knights can improve on the repetitive gameplay found in the first game, there is a solid co-op adventure to be had. Co-Optimus is so committed to researching this story for our readers that we are all off to watch Thor at the cinema on your behalf. Page created in 0.3943 seconds.